We all want to take care of the people we love just as much as ourselves, so Brisbane Livewell Clinic would like to make it a little easier for this month with our $20 referral offer. Simply refer a friend to the clinic and they’ll receive $20 off their initial consultation. You’ll also get $20 off your next visit. Referrals are unlimited so you can bring the whole family!New patients: Please print this email to redeem your offer..Existing patients: A $20 credit will be applied to your account once your friend has completed their initial consultation. Offer is valid from 1-30 November 2014 (inclusive). 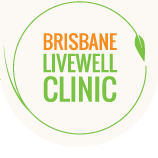 Please see Brisbane Livewell Clinic for terms and conditions. You can also now Book Online for your convenience.